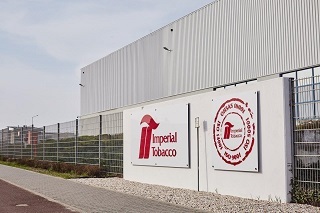 One of the largest British tobacco manufacturers in the world – Imperial Brands – owns two companies in Poland: Imperial Tobacco Polska S.A. with a factory in Tarnowo Podgórne near Poznań and Imperial Tobacco Polska Manufacturing S.A. with a production facility in Radom. Both plants, together with the manufacturer's extensive sales network in Poland, provide nearly 1,800 jobs and make a significant contribution to regional development. Imperial Tobacco maintains a strong market position in Poland with several percent of cigarette sales and is a leader in smoking tobacco sales. Poland is one of the largest and most important markets that I manage on behalf of the British Imperial Brands Group. It our Polish factories we manufacture tobacco products for sale in Poland and other foreign markets. Thanks to efficient organisation, logistics and high competency levels, the Polish team is doing really well said Aleš Struminský, President of the Management Board of Imperial Tobacco Polska S.A. and director general of the Central Europe and Ukraine Cluster. 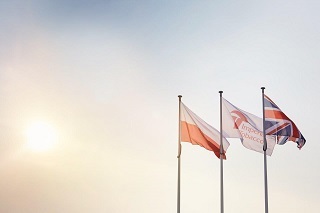 The challenges facing Imperial Tobacco include dealing with the demanding tobacco market in Poland, and the changes taking place in the European political space. Withdrawal of the UK from the EU will be a serious test for both countries, economically and organisationally. The future relations with our British business partners or the way of conducting business transactions are uncertain. In addition, legal regulations, especially in the area of taxation or customs, in the movement of goods or services, are still an unresolved issue. Certainly, all existing models of cooperation will have to be restructured in order to cope with new political realities. This situation will also affect the manufacturing of tobacco products in Polish factories dedicated on serving foreign markets, including the UK. Last year we celebrated 20 years since the establishment of the factory in Tarnowo Podgórne near Poznan. This factory is one of the most important investments of Imperial Brands. 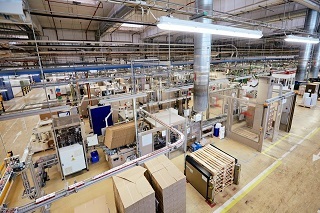 The plant was built in a record time and is constantly being modernised through the expansion of new production floors and the construction of a modern, fully automated high-bay warehouse. 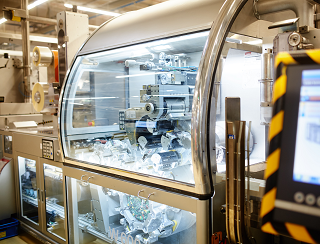 As a key plant in the group, it also increases its production capacity year on year. 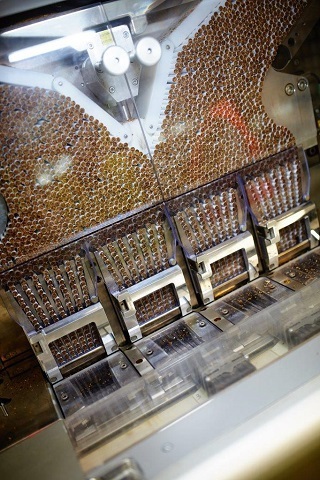 In recent years, machines based on modern technology have been installed, which allow for the production of up to 1,000 packs per minute. Highly automated production requires high safety standards. Imperial Tobacco's factories in Poland are a leader in this respect. The priority of the programme in force in the European plants is to increase safety in the workplace. The I OWN Safety project is active in Poland. It promotes the idea of mutual safety among employees – the idea that the safe work of one employee means that other employees are also safe. Imperial Tobacco in Poland is characterised by high labour standards, something noted by an independent human resources institute. For the ninth year in a row, Imperial Tobacco Polska has won the Top Employer Polska and Top Employer Europe awards, and Imperial Tobacco Polska Manufacturing has received this title for the sixth time. This is an award for the highest standards in the area of management and the creation of attractive working conditions for their employees – proof that both companies place great emphasis on the development, education and support of the entire workforce. Imperial Tobacco conducts broad and multi-faceted activities designed to reduce the grey market for tobacco products in Poland. Being well aware that illegally traded tobacco products not only cause huge losses to the Treasury, but above all pose a health risk to consumers, Imperial Tobacco supports information campaigns and operates its own website - www.stop-szarej-strefie.pl. The "Stop the Grey Economy" platform allows reporting suspicions of fiscal offences (selling tobacco without Polish excise tax bands) and offers up-to-date information about the activities of the state services and disclosed cases of criminal activity in this area. Imperial Tobacco intends to strengthen its position among the top tobacco companies in Poland. We want consumers to perceive our products as quality products, our employees to be satisfied with the workplace and our partners to build a solid business with us. Equally important for us is cooperation with the state authorities, for example in the fight against the grey market – we are open to further actions - added Aleš Struminský.